When it comes to building with LEGOs, the sky is the limit! There are so many fun combinations and things to build, all you need is your imagine, some bricks, and in some cases, the instructions! 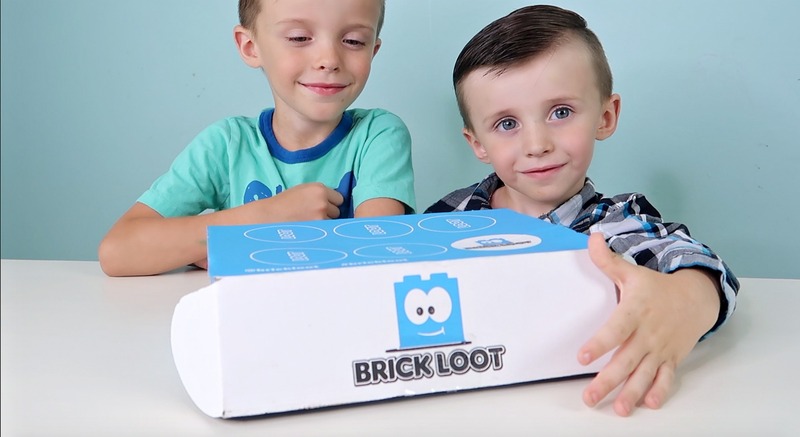 For the LEGO lover in your life, I highly recommend the subscription box called Brick Loot! They curate a themed selection of kits and accessories and ship them to your door monthly. Each month, you get a new theme and a new experience! Whether you have kids, or you’re a kid at heart, these kits will bring hours of fun! Andrew and Aidan received a box to try in May and the theme of their box was Insects! In their box, they received 5 insect kits, an exterminator LEGO mini figure, and an LED light brick. That’s quite a lot of fun packed into a box! This was a great idea for family night and they boys had so much fun staying up late and building LEGO insects with their daddy! The best part? They can take them apart and rebuild over and over again! What a fun idea for a subscription box since these kits aren’t necessarily available for purchase in the store. In fact, Brick Loot does a great job curating a really unique experience in every box with unique items, some of which may have been designed with famous LEGO designers! Brick Loot is not only super creative, but also a huge inspiration. It was started by a LEGO-loving 9 year old! He is now 13 years old and they’ve done quite well after being featured on Shark Tank. I absolutely love kid entrepreneur stories, and this was a fun and unique box to try our with our boys. To learn more about Brick Look subscription boxes, head over to www.brickloot.com and check it out! There’s still time to place your order for the next box that ships out on October 10th! Which Insect was YOUR Favorite? Let the boys know below!